There are many things to consider when planning a wedding, but there’s also one very important thing to think about before the wedding – the engagement ring. When it comes to getting engaged, the ring is quite important. It can be one of the most expensive purchases people make, so it is important to plan in advance and ensure you get the best value for your engagement ring budget. I believe the marriage is more important than the wedding, but it is always good to know how to get the best value for your engagement ring budget. Before you go looking at different ring designs, it is important to sit down together and discuss your finances. Don’t just talk about the ring – discuss money in general. Do you have similar financial goals? Are there personality clashes? What are your expectations for an engagement ring and wedding day? Create a budget for the ring. Save up before you spend. Figure out her taste before shopping. Consider her lifestyle and job to pick the perfect ring. Consider options other than just diamonds. Moissanite – a fantastic alternative that is nearly colourless and looks similar to a diamond. It is also resistant to abrasion and durable like diamonds, and a whole lot more affordable. Coloured stones – if your lady prefers colour, coloured gemstones like sapphires and rubies are popular alternatives to diamonds at a mere fraction of the price. You’ve heard of the 4 C’s, but understanding them can have an impact on your pocket. Carat – The standard measurement, but bigger is not always better when it comes to diamonds. Think about the size of her hand and the size of your budget. Cut – The cut of the diamond determines its brilliance and fire. A well-cut stone has more sparkle. Clarity – Clarity deals with a diamond’s imperfections and ranges from flawless to included. For most, buying a stone that doesn’t have any obvious flaws is good enough. Small inclusions offer good value as they can’t be seen with the naked eye. Cost – Always remain within your budget instead of making an emotional purchase, and never rush your decision – take the time to do your research and find the very best value for your money. Certification – Gems that are certified by an independent lab are the most popular and those certificates guarantee the 4Cs of the stone as well as a few other characteristics such as polish and dimensions. If you are starting your engagement ring search online, never believe everything the seller tells you – always do thorough research. Understand the seller’s refund policy just in case you want to return the ring. 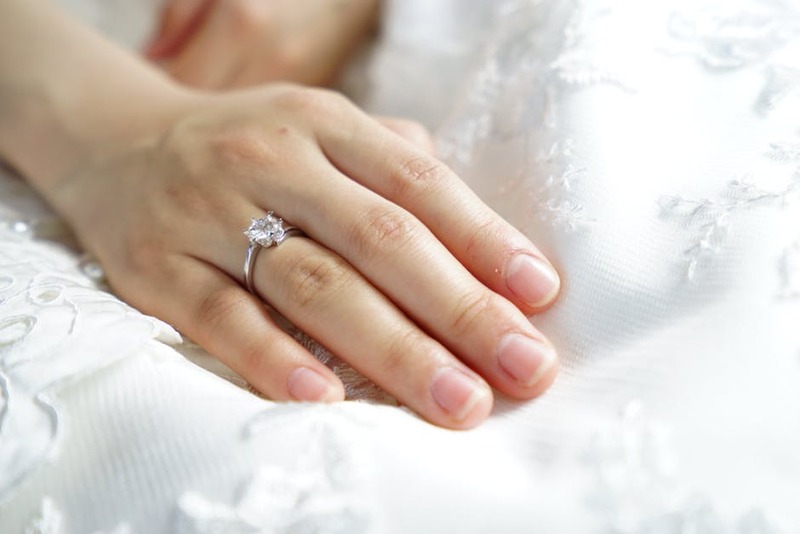 Don’t forget to insure the ring once you have purchased it. Keep these tips in mind and you are sure to get the best value for your engagement ring budget.